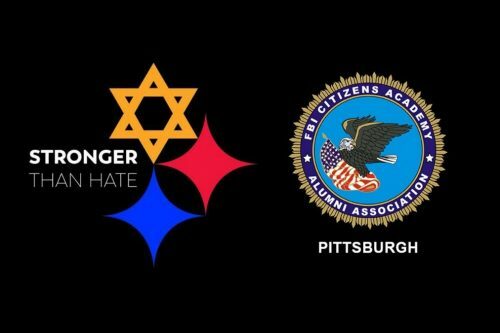 PITTSBURGH, USA - November 1, 2018 /MarketersMedia/ — The FBI Pittsburgh Citizens Academy Alumni Association announced today that it is working to support the Pittsburgh Field office with respect to services related to the Tree of Life Synagogue Massacre. The group, which is separate from the FBI, has launched a GoFundMe campaign to assist injured officers, victims and their families and initiate community-based support programs. “This attack was truly an attack on every caring, law-abiding resident of Pittsburgh,” said a spokesman for the FBI Pittsburgh Citizens Academy Alumni Association. “We have long been a city that values tolerance and freedom. It was a hateful act in every sense. As a community, we feel it is important to come together support law enforcement as well as the broader efforts to help those affected by this violence.” On October 27, a gunman killed 11 people and injured 6 others, including police officers, in an attack on the Tree of Life Synagogue in Pittsburgh’s Squirrel Hill neighborhood. Monies raised through GoFundMe page will be used by the FBI Pittsburgh Citizens Academy Alumni Association’s for charitable purposes. These include supporting the FBI Pittsburgh Field Office and its local law enforcement partners during this time of crisis as well as assisting injured officers, victims and their families. Funds will also be used to foster the formation and growth of community-based support programs in the greater Pittsburgh region. The Federal Bureau of Investigation Pittsburgh Citizens Academy Alumni Association, is a community-based and supported organization. Distinct and separate from the FBI, the organization is designed to promote a safer community through community service projects. Their goals also involve promoting a more informed community regarding law enforcement, with particular emphasis on the mission, resources, and limitations of the FBI. The goal of the Citizens Academy is to foster a greater understanding of the FBI's role in the community through open discussion and to support the FBI's efforts to deliver information about their role, tools, tactics, jurisdiction, and vision for the future in national law enforcement, homeland defense and counter-terrorism on all levels.